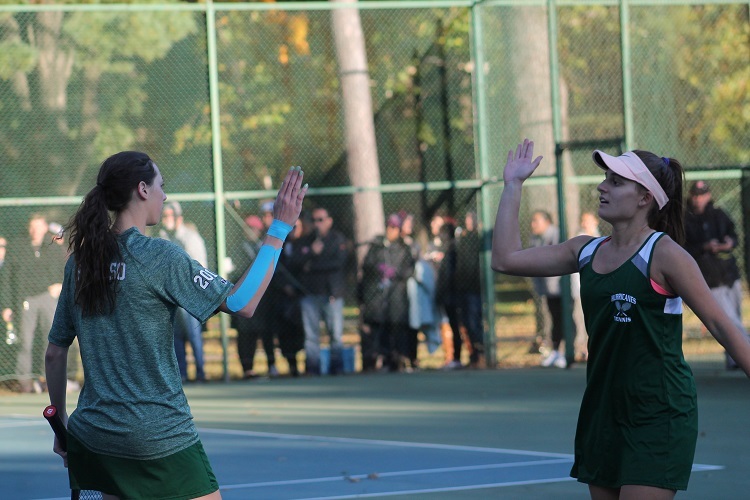 For the second day in a row, a Westhampton Beach match came down to the second doubles pairing of Rose Peruso and Julieto Tomaro. With the Long Island Championship between the Hurricanes and the Syosset Braves knotted at three-all, the duo once again delivered in the clutch, defeating Alex Flicker and Olivia Tiegerman 7-5, 7-6(6) to seal the title. While Peruso said she didn’t realize that the overall team match was once again tied at three, Tomaro was well-aware of the stakes of their match. 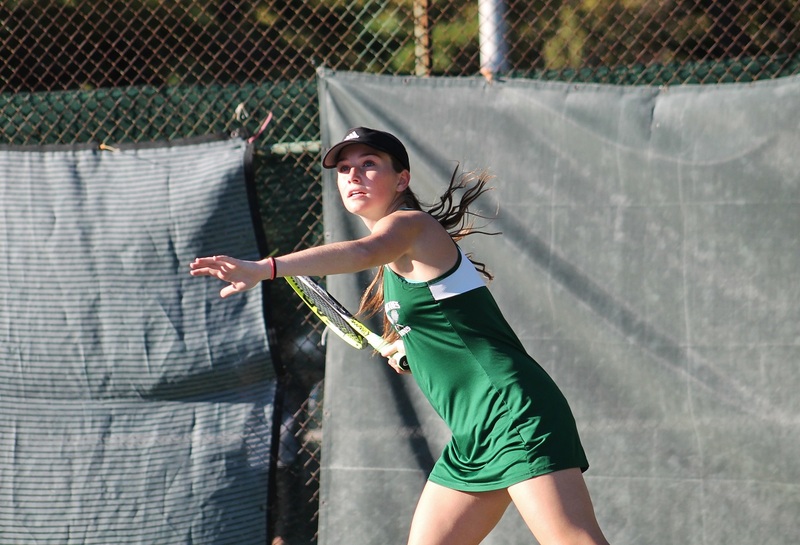 Both the Nassau County and Suffolk County Championships were tightly-contested 4-3 matchups, so it was no surprise that the Long Island Championship would be evenly matched. Rose Hayes kicked things for the Hurricanes with a 6-0, 6-1 win over Caroline Lee at first singles, but Syosset responded as Sanya Jolly and Jenna Koeppel notched a straight-sets win over Helena Jones and Mia Seitles at fourth doubles, and Sarah Schwartz and Ruth Abraham won 6-4, 6-2 against Katelyn Stabile and Jen Curran at third doubles to put the Braves in front. 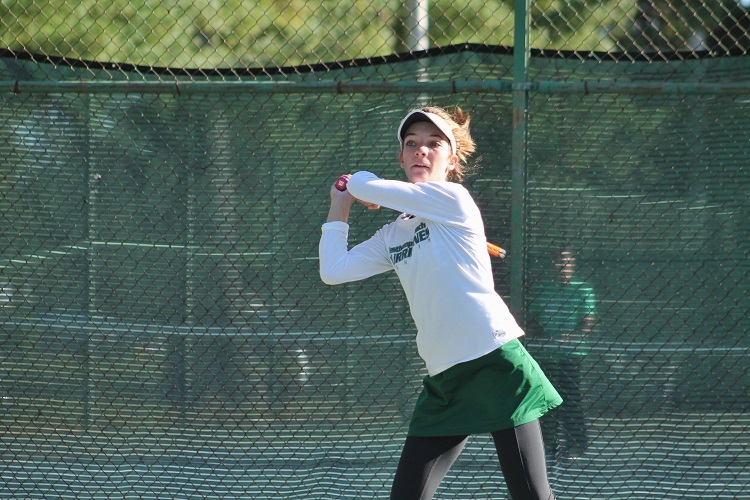 Westhampton Beach evened the score up as Onalee Batcheller and Emma Bender hung on to defeat Alexa Brecher and Stephanie Wiener 6-4, 7-6(4) in the first doubles flight, but soon after Sarah Wong brought Syosset within one victory of the Long Island title with a 6-1, 7-5 victory over Marin Vander Scharf at third singles. Needing to win the final two flights, the resiliency of the Westhampton Beach team shined through again. Brooke Del Prete defeated Alex Ho 6-4, 7-6(5) at second singles to tie things up. With all attention turning to the second doubles court, Peruso and Tomaro held their nerve in a close second-set tiebreaker to seal the deal. 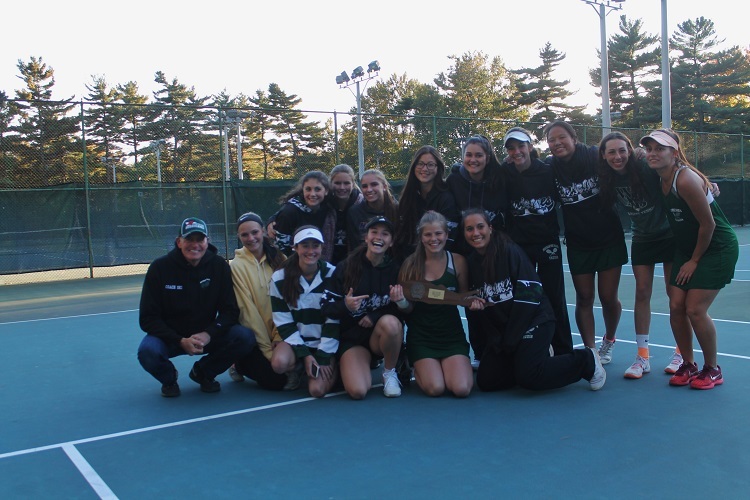 “They were both solid in the end,” said Westhampton Beach head coach John Czartosieski. “They just kept the ball in. Both teams got a little tense in that tiebreak, and I think Rose and Juliet were just able to elevate their games late. Brooke at second singles played an incredible match, she played great defense. Her opponent was formidable. And she pulled off the win. The Hurricanes extended its season as far as it can go and finish the 2018 campaign with an undefeated 17-0 record, and a Long Island Championship. Whether or not a banner is put up in the Westhampton Beach gym, the Hurricanes will always be known as the 2018 Long Island Champions.